Every generation has its over the top luxuries -- the highly sought after equipage of the fashionable elite. 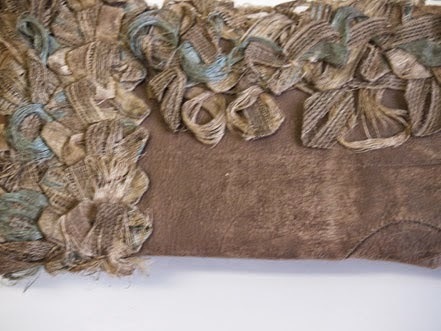 In the 18th century, it might be the fan, the shoe, the stockings, the hat, the parasol, the stomacher or any number of items which could be used for flirtation or for fashionable luxurious gifts. 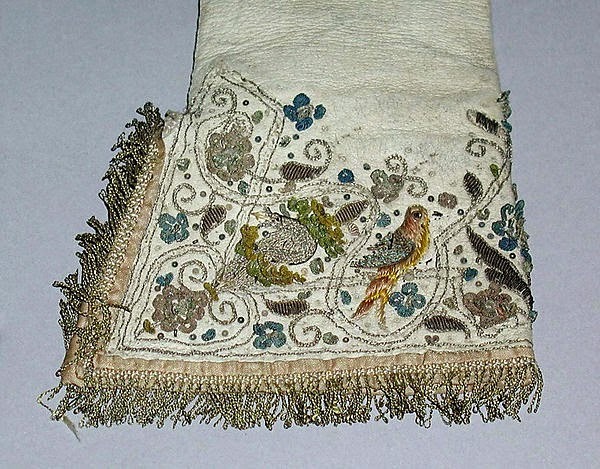 In the early years of the 18th century, fringed gloves were a source of trepidation. There was concern in some quarters that such items of adornment would lead women astray. 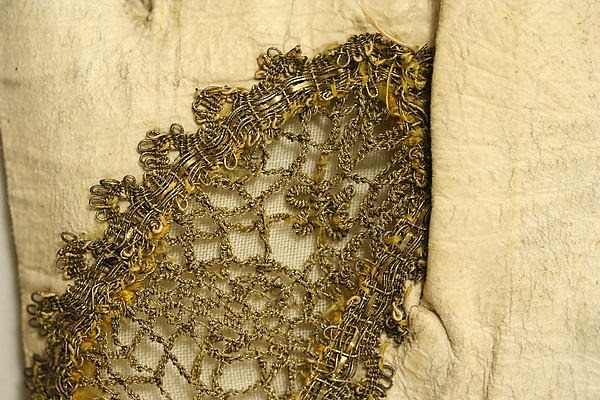 Leather, silk and gold gloves, c. 1735. Probably French. Courtesy, Metropolitan Museum. Fripperies, gew gaws, and gimcracks. 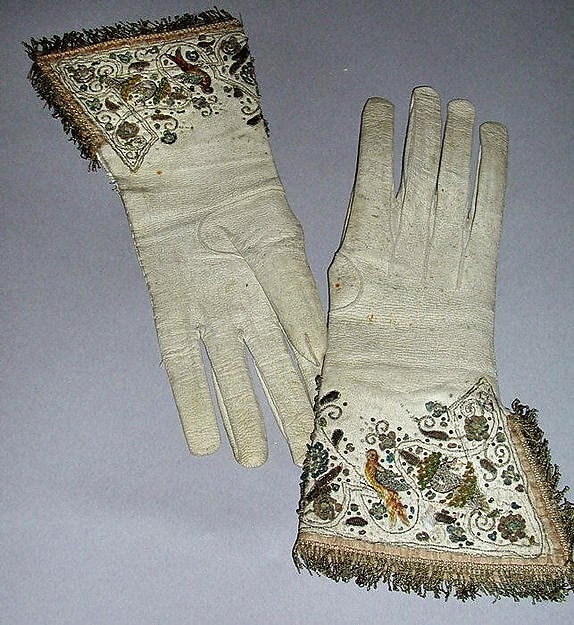 Gloves have long been a symbol of wealth and social position. They signified that the wearer did not engage in any physical or manual labor. 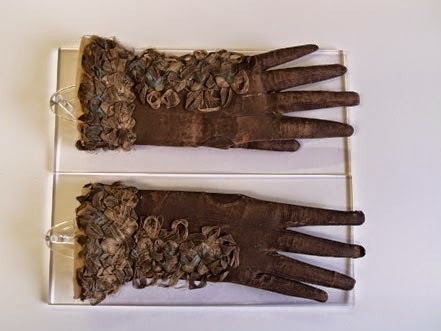 The sheer lack of functionality and the impracticality of delicate laced gloves (such as the pair above with decorative gold lace, or braid, winding across the palm) made them accessories to covet. 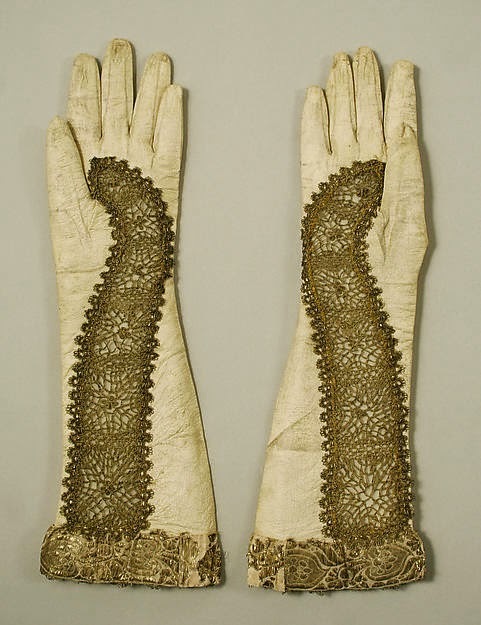 Gloves, with extensive ribbonwork, 1660-1690. Courtesy, Worshipful Company of Glovers. 1. The Tatler, Number 151, Tuesday, March 28, 1710. Excerpt from Addison on women's weakness for dress, The Commerce of Every Day Life, 486.